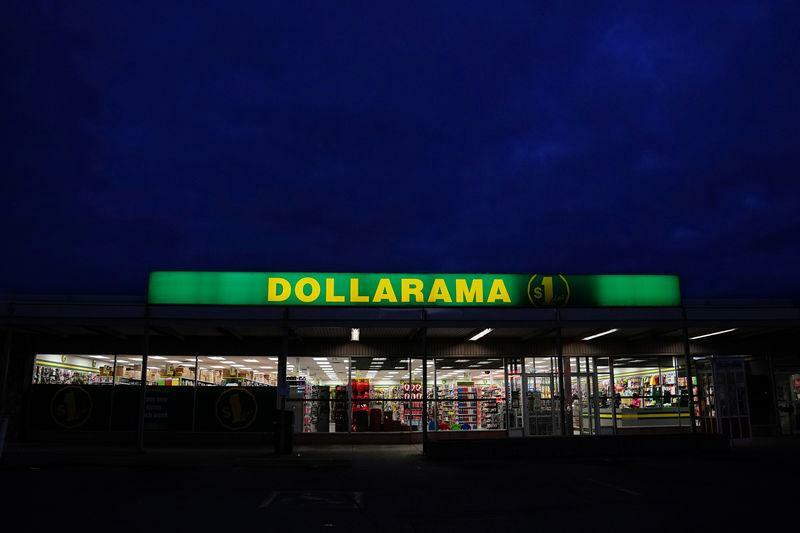 (Reuters) - Canada's Dollarama Inc on Thursday reported lower-than-expected quarterly results, as the discount chain operator could not raise prices in the face of stiff competition from retailers such as Dollar Tree Inc, sending its shares down as much as 17 percent. The results come on the back of worries that fewer customers are shopping at Dollarama's stores, unhappy with price hikes in recent years. Dollarama's shares, which have fallen more than 35 percent this year, were unlikely to get a boost unless there is change in its ability to further increase prices, according to TD Securities analysts. "It's been said that we are no longer a dollar store, but in reality, we still have less than C$1, C$1 and C$1.25 items," Chief Executive Officer Neil Rossy said on a conference call. The Montreal-based company's net income rose 2.7 percent to C$133.5 million ($99.5 million), or 41 Canadian cents per share, in the quarter ended Oct. 28. Total sales rose 6.6 percent to C$864.3 million, but missed analysts' average estimates of C$872.6 million.